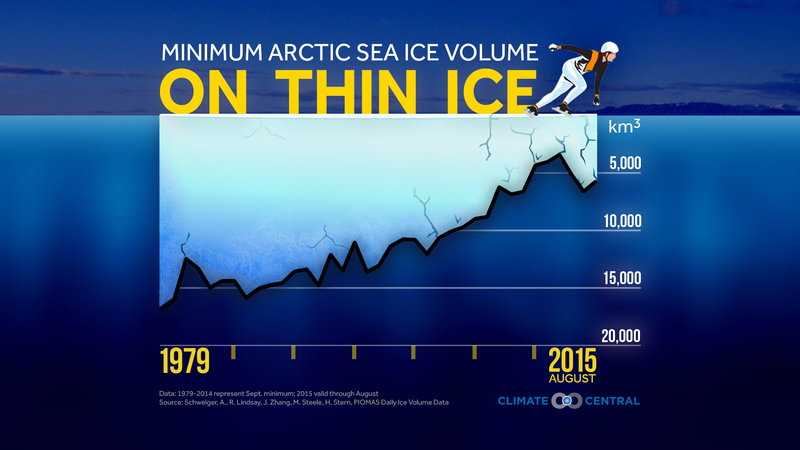 Arctic sea ice has been declining since the 1970s, and this year’s minimum extent was the fourth lowest on record. 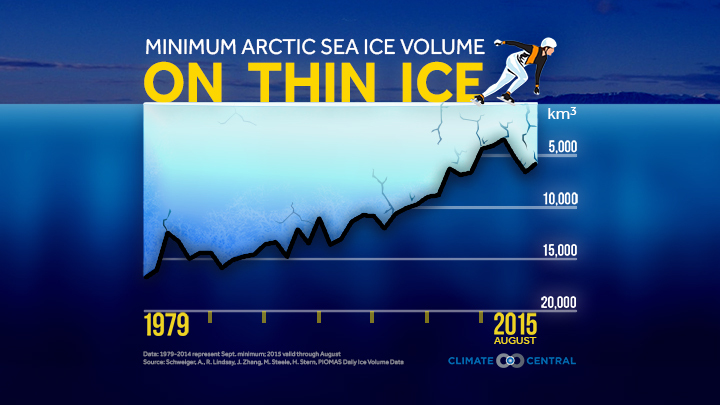 The 10 lowest annual Arctic sea ice volumes have all been in the last 11 years. 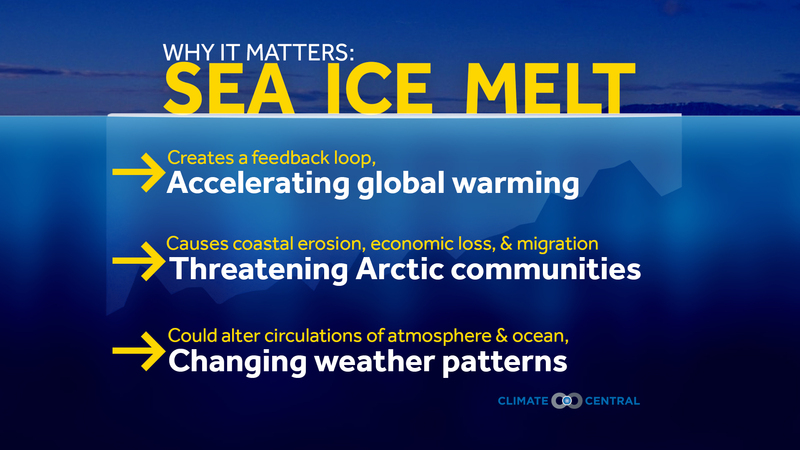 Melting sea ice creates a feedback loop that accelerates global warming. 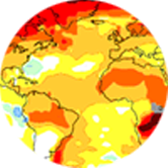 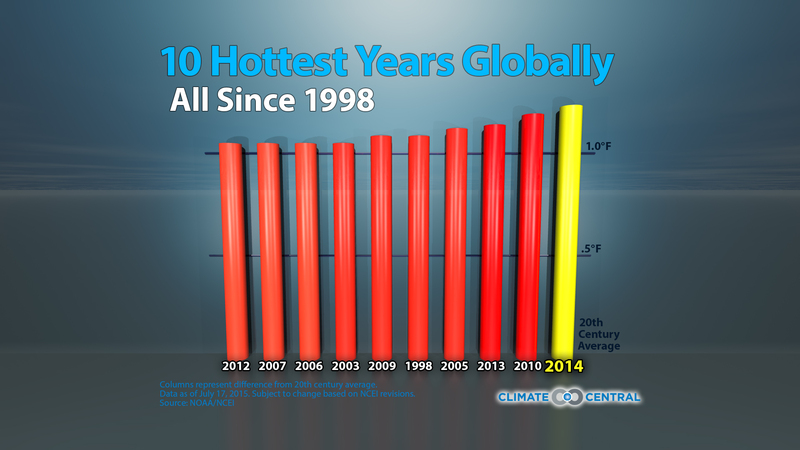 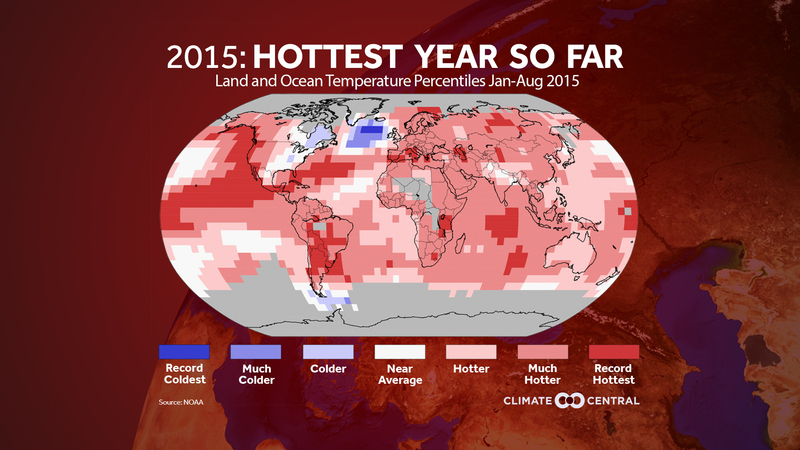 Globally, El Niño tends to boost global temperatures and likely contributed to 2014’s record heat. 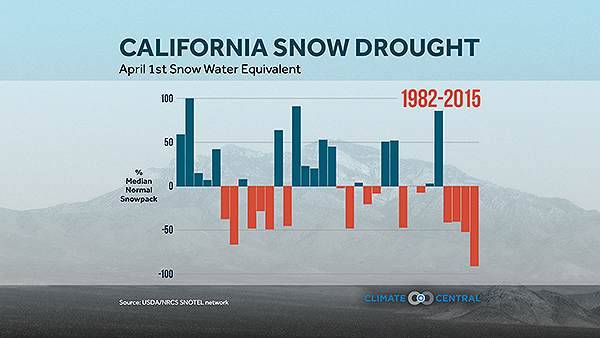 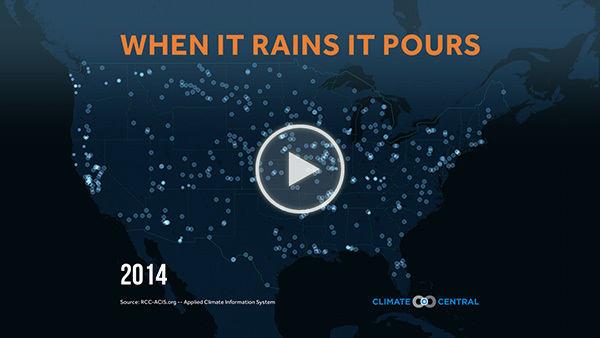 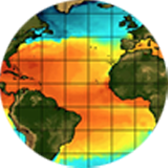 El Niño can help start droughts, bust them, and break temperature records. 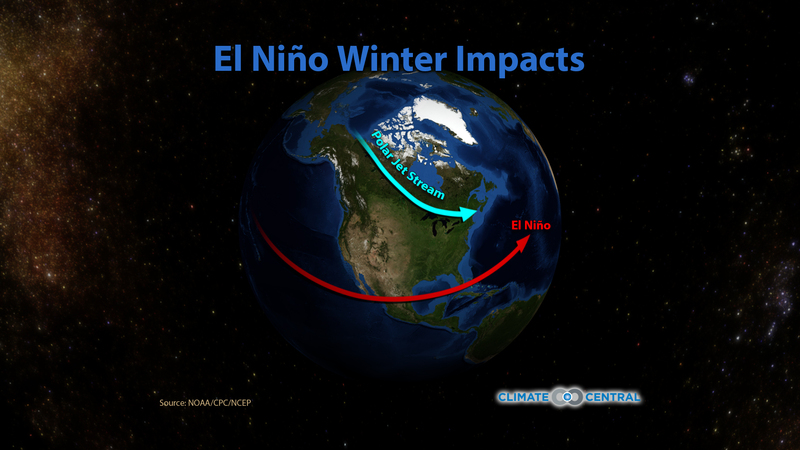 Some research suggests that climate change could double the likelihood of both extreme El Niño and La Niña events in the future. 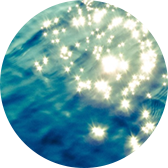 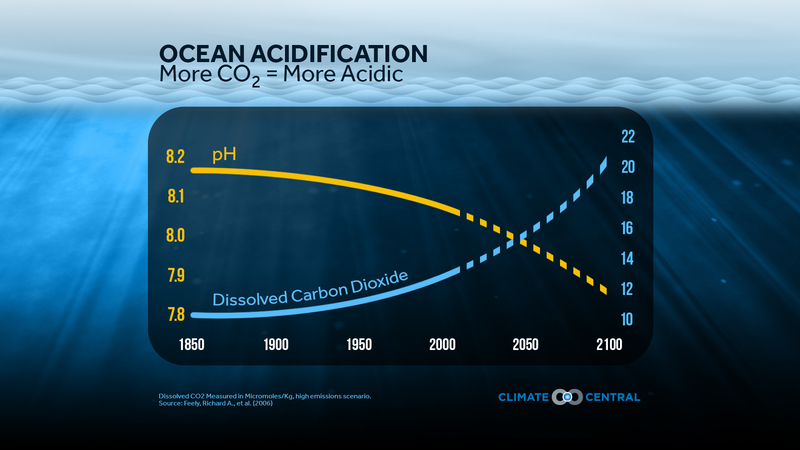 The average pH of ocean surface water decreased over 30% (8.21 to 8.10) since preindustrial times. 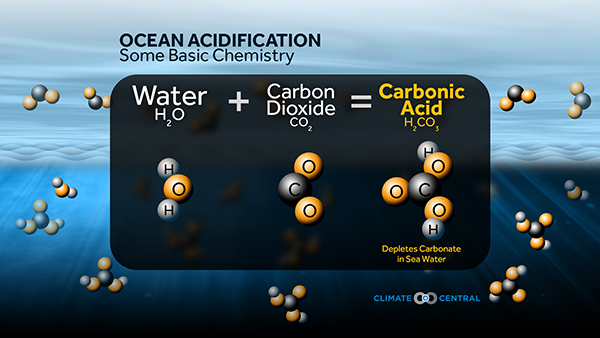 Oceans are becoming more acidic nearly 50 times faster than any known change. 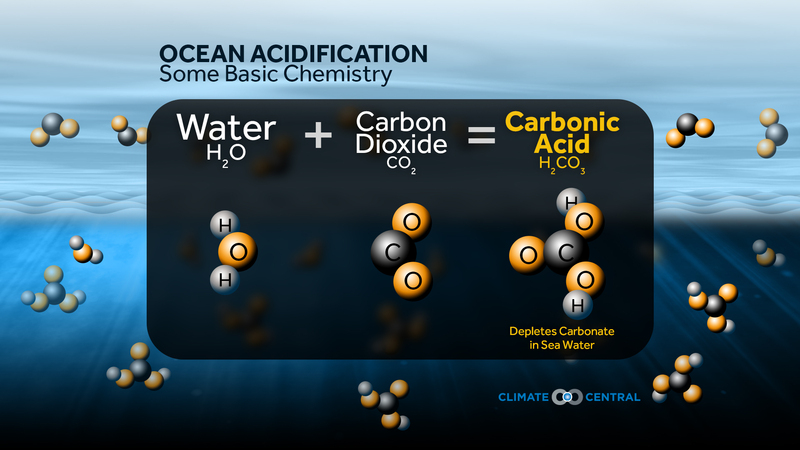 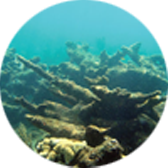 By one estimate, ocean acidification will cost the global economy $1 trillion annually by 2100. 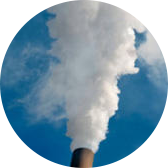 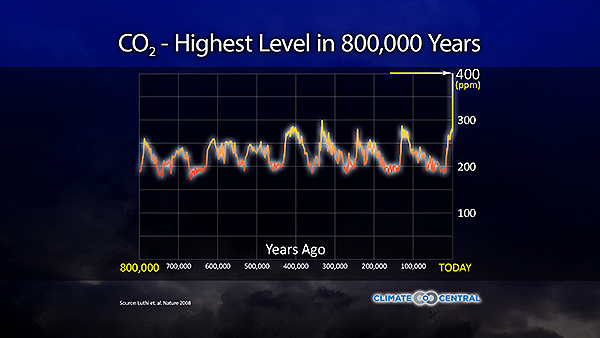 Since the first measurements at Mauna Loa in 1958, CO2 levels in the atmosphere have risen from 313 ppm to over 400 ppm. Scientists estimate that the last time CO2 levels were this high was at least 800,000 and possibly over 3 million years ago, when the Arctic was 32°F warmer and sea levels were up to 90 feet higher. 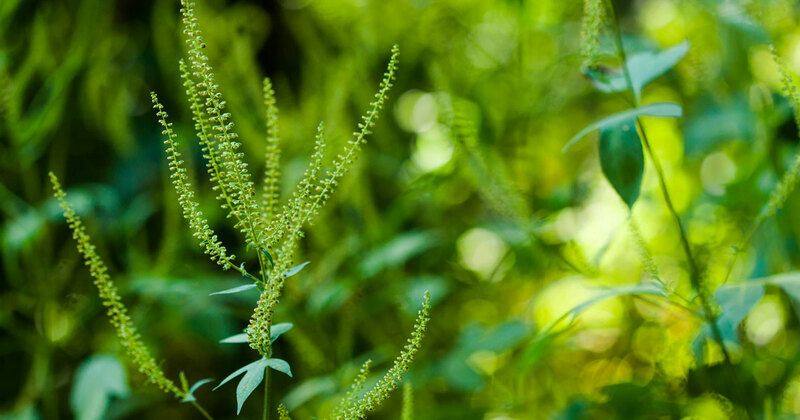 Carbon dioxide is a long-lived greenhouse gas, so even if all carbon emissions stopped today, global temperatures would keep rising and climate impacts would continue to be felt. 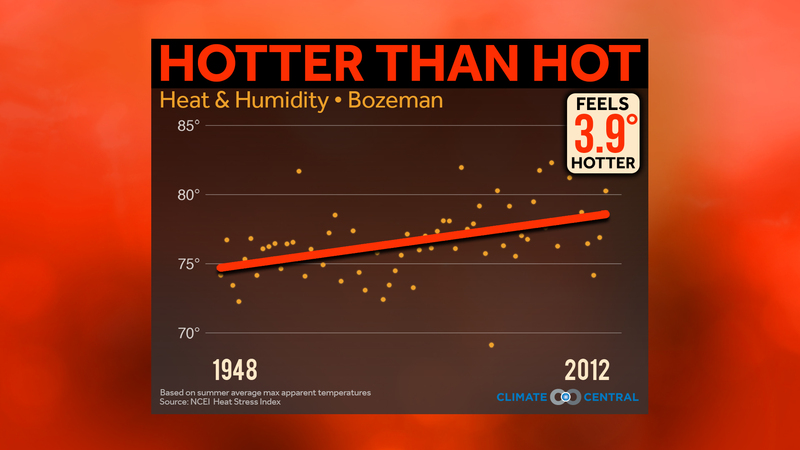 Extremely hot days that used to happen once every 20 years in the 1960s now occur every 10-15 years. Overall, daily record high temperatures are outpacing record lows. 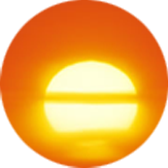 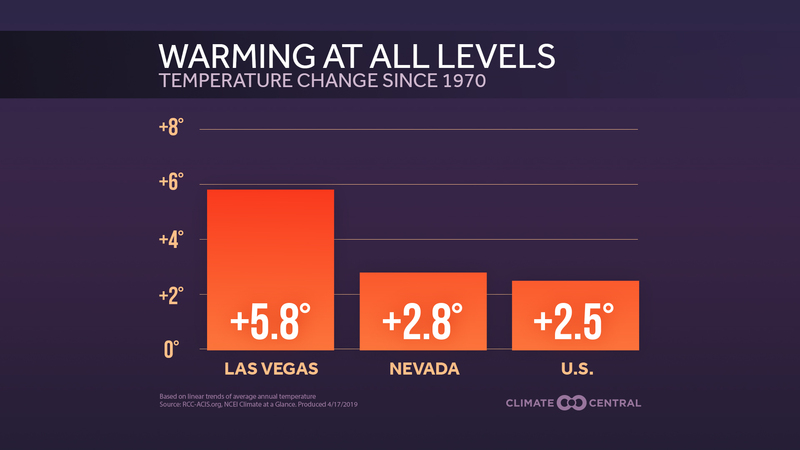 Some research suggests that the 40 largest U.S. cities could see their number of excessive heat days increase five-fold by 2050. In the northern stretches of the globe, snow cover receded from a peak of 10.28 million square miles in 1979 to a record low 3.69 million square miles set in 2013. 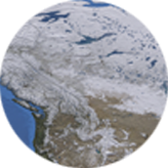 Less snow cover allows the Earth to absorb more sunlight instead of reflecting it away. 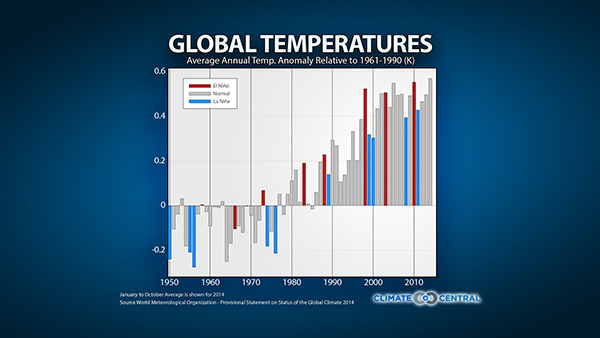 That starts a feedback loop: rising temperatures, more melting, and then further temperature increases. 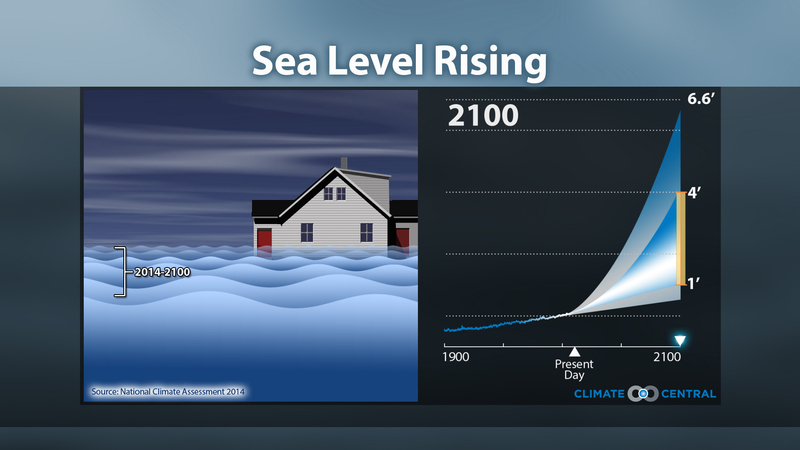 Satellite and tide gauge measurements show that sea level has risen by about 8” since 1880, on average across the globe — that’s .07” per year. 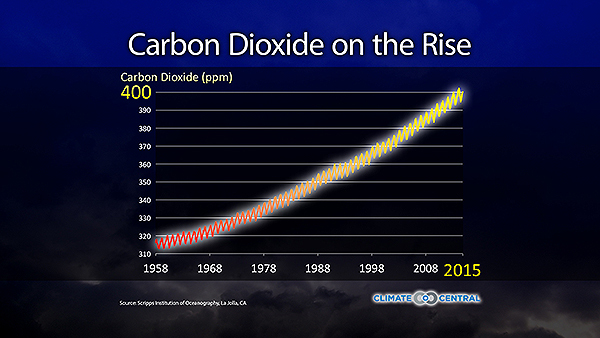 This rate of rise increased significantly from 1993 on — to .11-.13” per year. 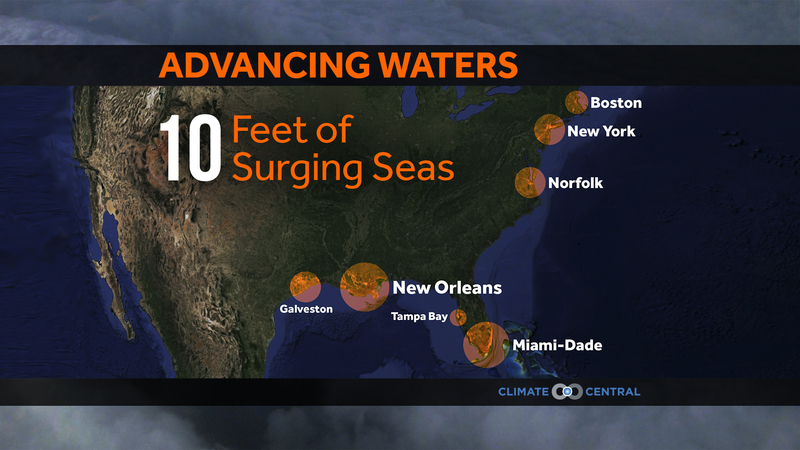 Unless adaptation measures are taken, sea level rise could cost the globe $1 trillion annually by 2050. 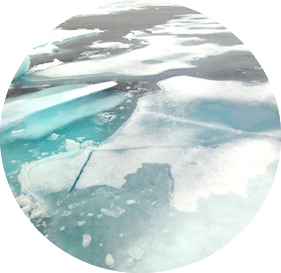 Greenland and Antarctica alone contain 75% of the world’s fresh water, and if they melt entirely, sea levels could rise by 240 feet. 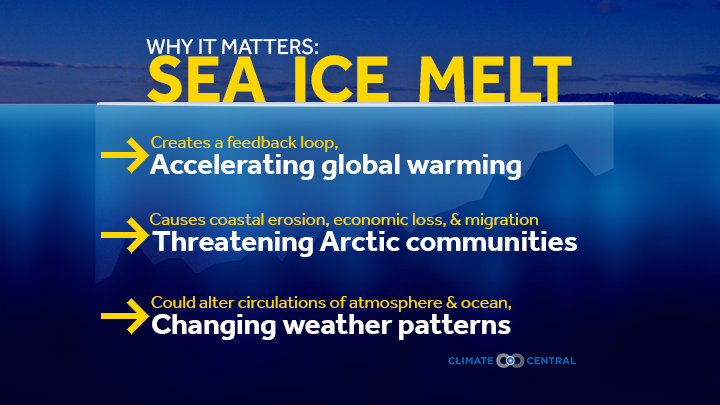 Antarctica has been losing more than 24 cubic miles of land ice per year since 2002. 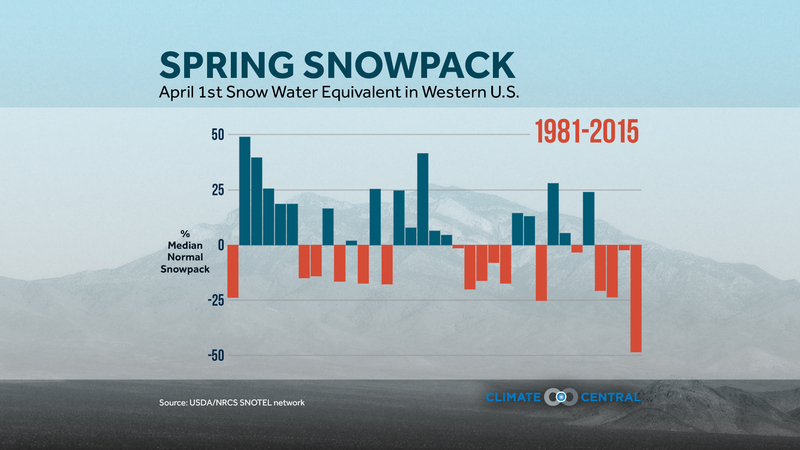 Nearly one-sixth of the world’s population relies on glacial runoff for fresh water, and a loss of glaciers leads to a decrease in runoff. 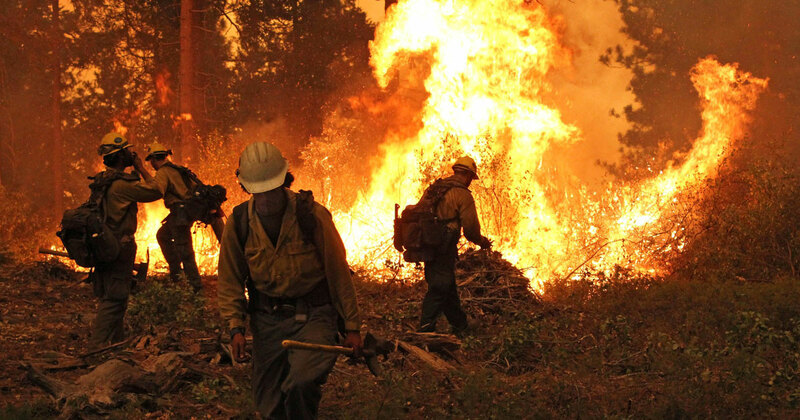 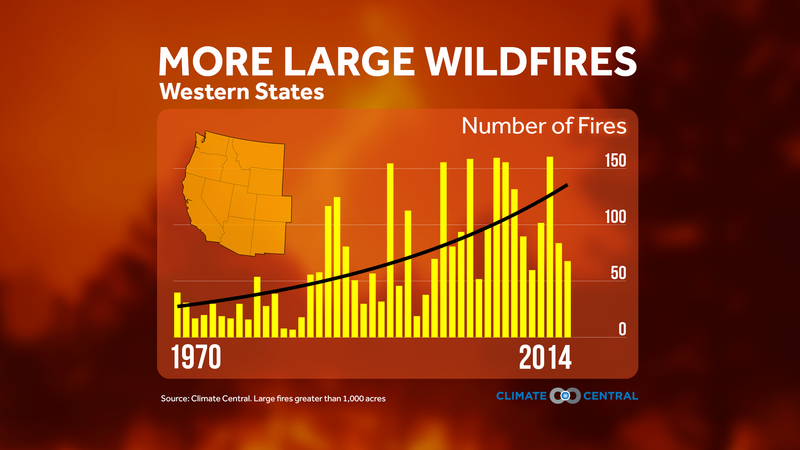 Since 1970, the annual average number of wildfires larger than 1,000 acres has more than doubled in the western U.S.
From 2002-13, wildfires in the western U.S. routinely worsened air quality by 5-15 times normal levels for cities with 100 miles of fires. 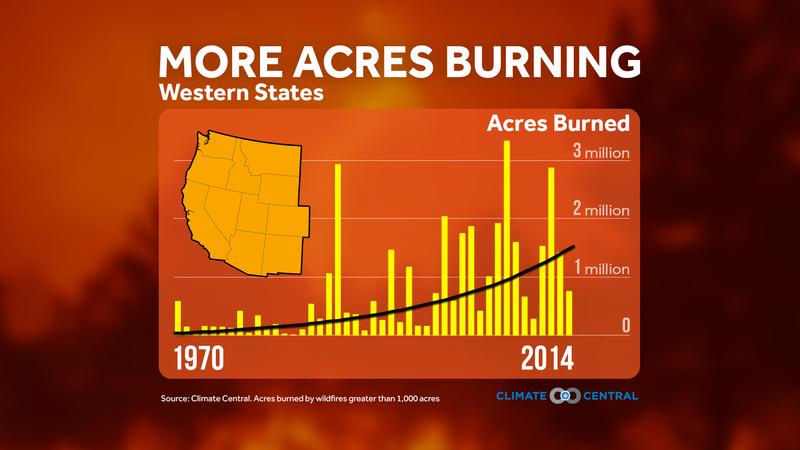 Projections indicate that every 1.8°F rise in temperature could quadruple the area burned each year in the western U.S. 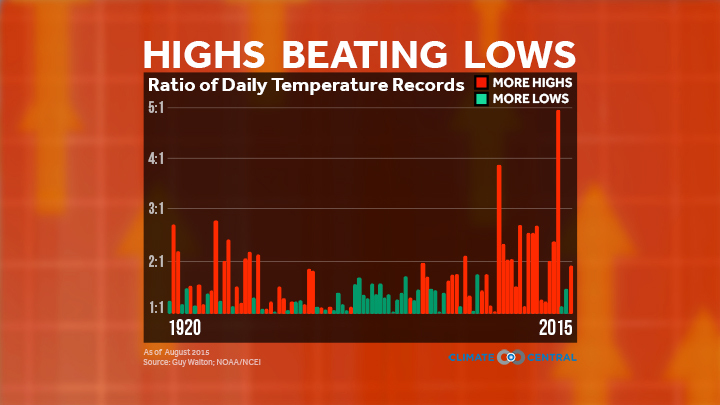 Overall, the planet has warmed about 1.6°F since the 1880s, and the 10 warmest years on record have all occurred since 1998. 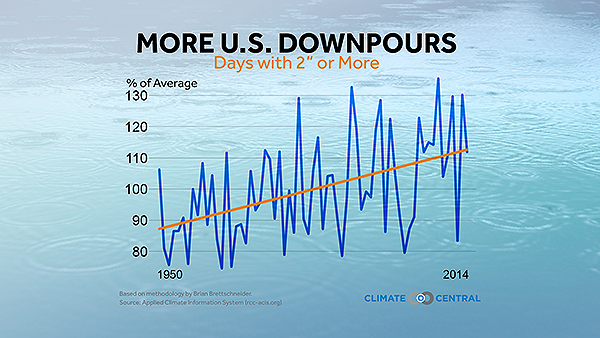 This warming has contributed to melting Arctic sea ice, rising seas, shifting ecosystems, droughts, and heat waves. Temperatures are expected to rise even more steeply in the coming decades unless greenhouse gas emissions are curbed. 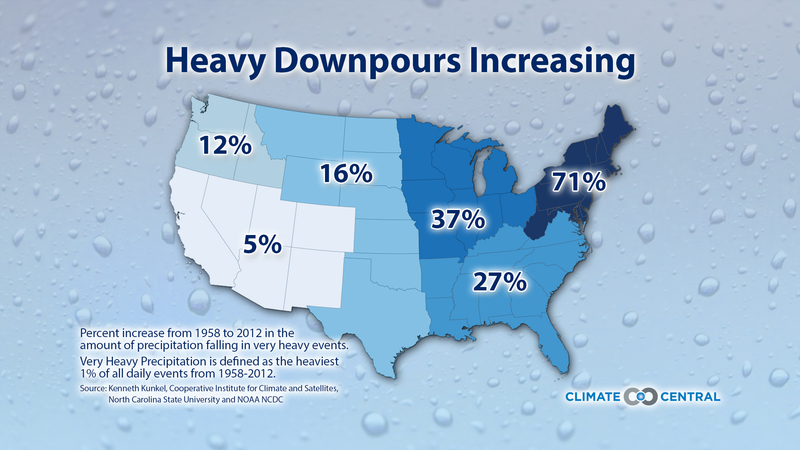 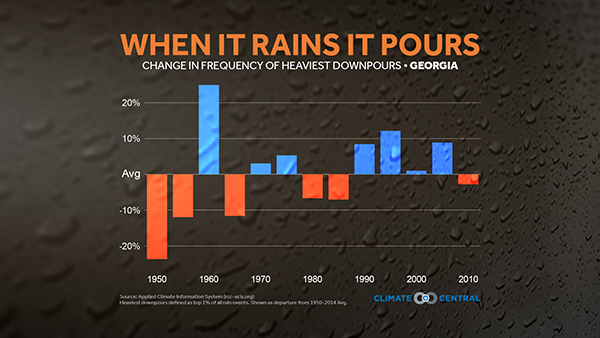 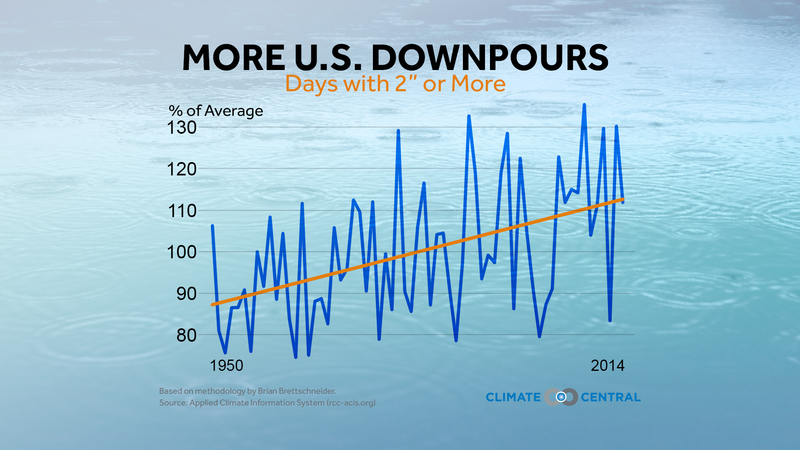 We also expect to see more heavy rain as a result of climate change. With hotter temperatures, more water evaporates off the oceans, and the atmosphere can hold more moisture. 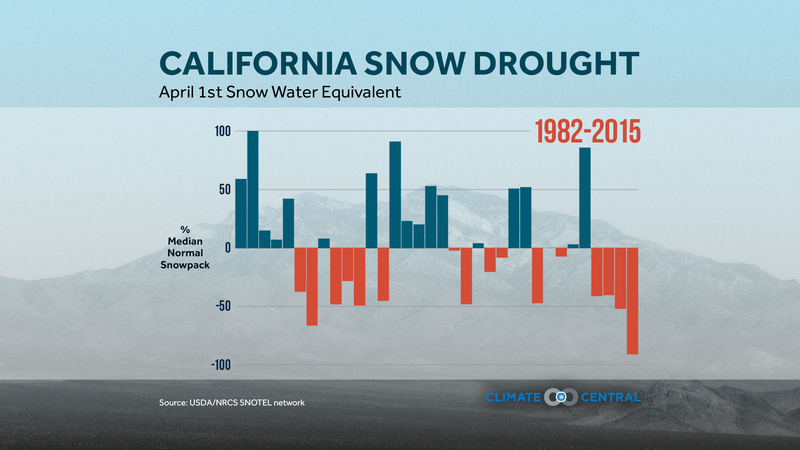 That means that there is often a lot more water available to come down as rain – and as snow.